The integration of books and computer is thrilling but as a writer it's also a bit terrifying. From small connections like this, to large ones like Kindle, it's changing! Great post Jessica... The message of "e-book does NOT equal Kindle" is so important. If you look carefully at the numbers, more people have been reading books on iPhones than anywhere else. In fact, Amazon has been very careful not release any meaningful Kindle sales data (the device or the content) because right now, it's all about hype. More importantly, the closed, vertical business model that Amazon has adopted for the Kindle, is, IMHO, doomed to fail. Even Apple has opened up the iPod, and is now experimenting with value based pricing. And, ditto on your praise for the dialog Jenn and Stephanie have stoked! Jessica -- So glad you've waded into this conversation (it's something I've been thinking about quite a bit, but, not being a bookseller, am still wrapping my head around all the concepts). I appreciate that you make it clear that ereader does not equal Kindle. In fact, I've noticed many professionals going with Sony due to file management (folders) capability. The Kindle is a mess in that regard. But your broader point about variety and options is important. I'm a NetGalley customer as well (and enjoyed Unbridled's "Last Night in Montreal" so much! ), so I'm hoping stakeholders enter into conversations with NG about making it easier to port the digiarcs to other devices. Everyone has different reading needs, so this kind of flexibility would be a bonus. 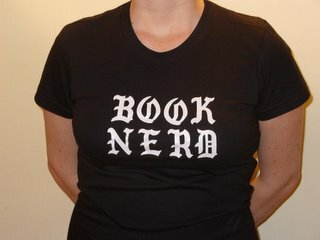 And oh yeah, someone should buy you and iPhone or ereader. If publishers put all the money they waste on mailing books to us (not that I don't love FedEx and UPS!) into digital reading solutions, they'd come out ahead in the long run, I'm convinced of it! just a note: the music industry never agreed upon mp3 as a standard. mp3 happened TO them while they did their best to ignore the issue. I was just having this conversation with someone the other day, especially since Google has decided to gather up the copyrights of "dead" books (which I think is a great idea) and academic libraries all over the country started freaking out. Why? This IS the digital age and the more old media fight new media, the more they become like the dinosaur: extinct. All one has to do is watch the newspaper struggles with the Internet since the late 1990s. By resisting coming up with new ways to utilize the web, newspapers are running themselves out of existence. To what purpose? Look, e-books are a natural progression and we in the bookstore industry shouldn't be fighting it. As booksellers we hold the responsibility to recommend and sell books in any form and the next step in printed word evolution is naturally without paper. I agree with Jessica and would love to see the publishing industry take up this challenge. Or struggle against change and slowly die out like the newspaper industry. I'd like to make a note on your comment about not being able to sell to Kindle owners. It is possible to buy books from sources other than Amazon and read it on the Kindle. If you sell an ebook in the mobipocket extension (or other supported extensions), you can still sell to the Kindle owners. I download books from Project Gutenberg to my Kindle all the time.